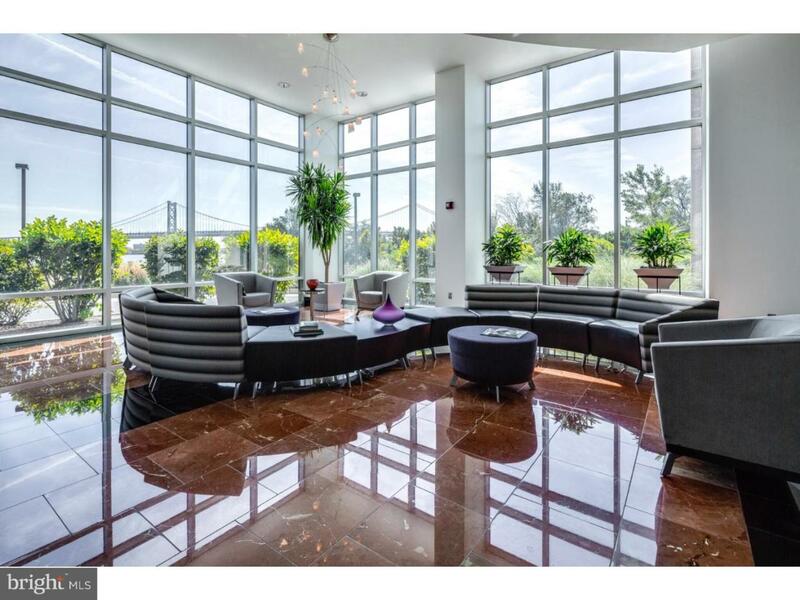 Enjoy the spectacular views of the river and the Ben Franklin Bridge from this prime location northeast corner unit when the Philadelphia waterfront. Waterfront Square is Philadelphia''s 9.5 Acre Gated Community on the Philadelphia Waterfront! This self-contained enclave has its own security, 24 hour manned Guard Gate, onsite Parking and Valet Service, and an onsite convenience store. Luxury Amenities Include: A Grand House with Magnificent European-Style Spa (offering massages and facials), State-of-the-Art Fitness Center (classes such as Yoga and Pilates 4 days a week), Riverfront Sundeck, and Semi-Olympic (25 Meters) Swimming Pool with Poolside Caf~ overlooking the Delaware River and Benjamin Franklin Bridge; Multi-Function room for Meetings, Events,Functions; Large Landscaped Park, Dog Run, Putting Green, Walking/Jogging Trail; Shuttle Service to Center City (stops from 2nd Street to 30th Street Station), 24 hour Security with closed-circuit television and Access-Controlled Entrance; Personal Touch Extensive Service such as Doorman and Concierge to Arrange for everyday conveniences. Waterfront Square is located in a Premier Location Just Minutes Away from Fine Dining, Quality Shopping and Four Star Entertainment; Convenient to Sport Complexes, I-95, I-676, Atlantic City Expressway, Philadelphia International Airport, and New York/Baltimore/DC. Ultimate in Privacy and Security ? Luxury Living at its Finest!